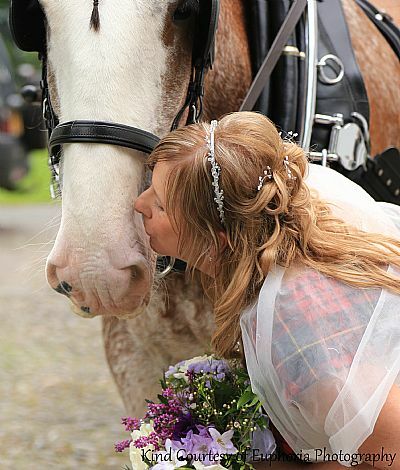 Looking for that magical finishing touch for your wedding day? 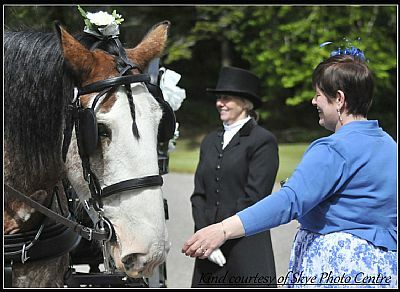 We are available for weddings with our decorated carriage. 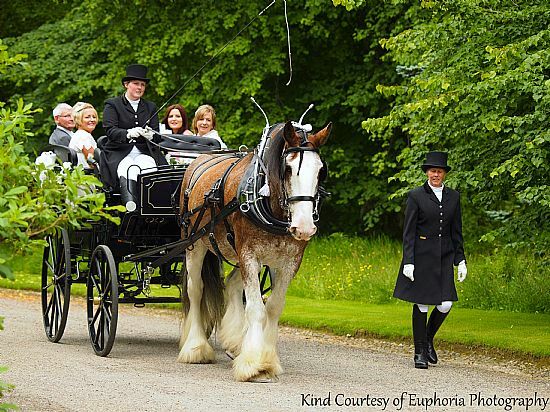 Our Clydesdale horse Bill is beautifully presented with flowing white feathered legs, and the carriage and harness tastefully finished with matching flowers.Our dress code is smart but traditional, with long livery coats and top hats. 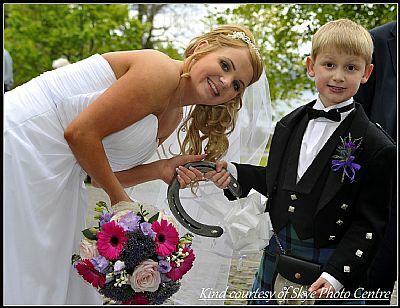 We also provide an authentic good luck horse shoe previously worn by Bill, polished and decorated as a keepsake. 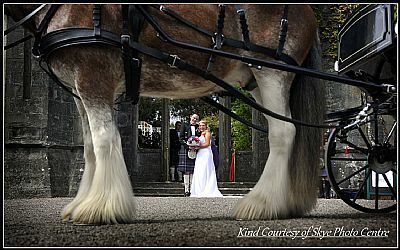 We offer a range of different package options and remain flexible to ensure that your special day is tailored to your every need. Please contact us Contact Usto discuss.